Information on this page will be frequently updated, so keep checking back for additional details on these events and more. Many Big Ideas events and workshops will be live-streamed from this webpage. Recordings will be made available immediately following each live-stream (see “Past Events” section below). This workshop provides guidance and feedback on how to effectively craft their 8-page written proposal. This session also highlights rules and best practices (tips!) for the newest element to the Big Ideas Contest — the 90-second application video! Building off the Fall Enviro-Design Overview Workshop, the Enviro-Design Intensive Workshop will help teams further incorporate sustainable design and circular economy principles in their innovations, maximizing the innovations’ environmental sustainability and marketability, and helping teams succeed in the Full Proposal Round of the Big Ideas Contest. Big Ideas finalist teams and their mentors will learn about expectations and best practices to guide them through the mentorship period. The Big Ideas staff will provide additional guidance on the structure and goals for the final round. 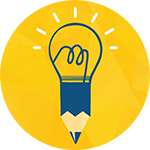 Receive guidance and feedback on how to effectively craft your Big Ideas pre-proposal. This workshop had added emphasis on storytelling and how to craft an effective narrative for the Big Ideas pre-proposal, led by Scott Shigeoka, an expert in storytelling and the Community & Design Lead at OpenIDEO. Learn how to incorporate circular economy and environmental design principles into your project and gain valuable resources from top-notch experts in the field. This workshop will help student innovators examine the potential environmental impacts of their innovations from the very beginning phase of their invention/ innovation.